If you feel that I am not the right person for you, following is a comprehensive database which can help you find an english speaking psychologist, counsellor or therapist in Paris (counselor in American English). I hope it will help you find a place where you can share your problems in a safe, non-judgemental and confidential environment. In addition, Easyexpat is an extensive source of information. 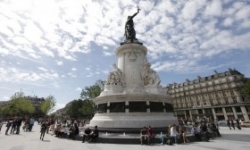 It has a city guide for Paris, forums, classified ads and job listings.